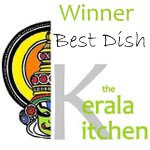 I was so happy and excited when I came to know my Malabar Chicken Biriyani have won the Best Dish Award in the The Kerala Kitchen contest held at Jehanne's wonderful space The Cooking Doctor. It is such an honor, I was really surprised and thrilled when I came to know about it. 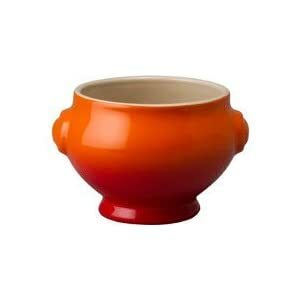 She is also sending 'Le Creuset Volcanic Stoneware soup bowl' to the winners which looks so cool and pretty. Thanks a lot Jehanne dear, that is so sweet of you. Check out for the other winners of May at her space The Cooking Doctor. Also she has compiled all the recipes into an e-book which is just awesome. The e-book contains all the entries of the event for the month, which includes Best Dish, Best Picture and the top contribution list as well. Congrats Prathibha! 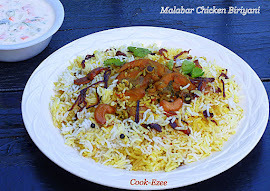 Will try that biryani soon. lovely soup bowl . thats so nice ..congratulations ! 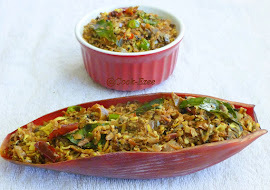 congrats on your award...yummy chicken biriyani..
Congrats Prathibha. You deserve it. wow makes me drool here.. looks very delicious..